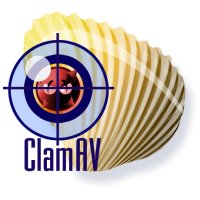 I've just upgraded clamav to the latest (at the time of writing is version 0.91.1) for my firewall (Mandrake 10.1). For impatient sysadmin like me, waiting for official packages to release might take longer than u might expect. So the best way to upgrade is by compiling from source. This was how I did it. It's advisable to stop clamav service before installing the new one. Note: this configure arguments matching with the previous installation by rpm except for --enable-big-stack and --enable-dns-fix (I think).